How can you quickly send an urgent alert to a response team from your desktop browser? Here is a pretty slick example for Google Chrome implemented with zapier and SIGNL4. SIGNL4 is for sending persistent mobile alerts to your response team. It provides for simple duty management (duty check-in & check-out) and routes alerts from other systems to staff on duty. It does so by using mobile push (more channels are in preparation). 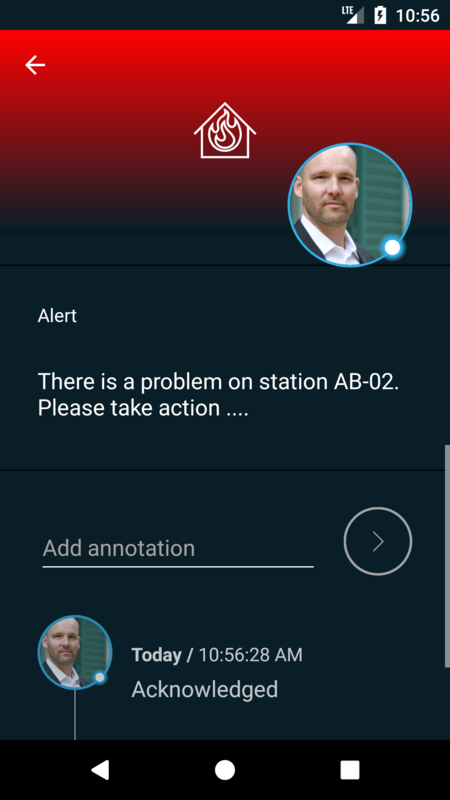 Alerts need to be acknowledged, otherwise SIGNL4 keeps nagging the team on duty. Once an alert is acknowledged this is information is visible throughout the team. 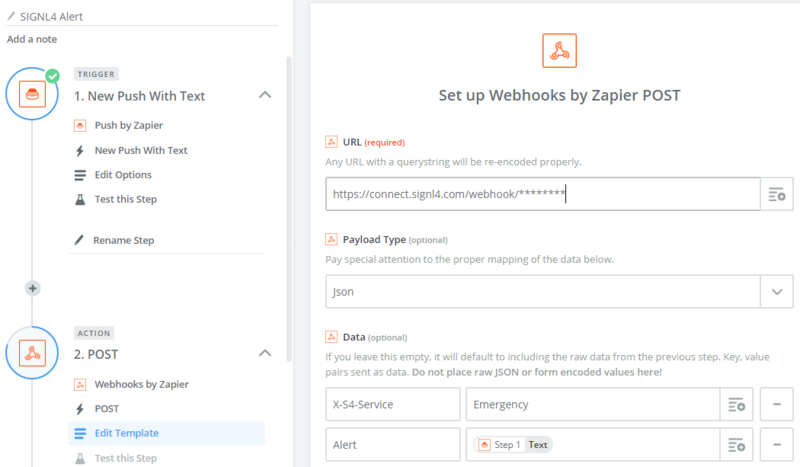 In zapier you can create a new zap where the trigger is “New Push With Text”. You get prompted to install the zapier Chrome extension if you have not already. As an Action you can use a Webhook with your SIGNL4 details. 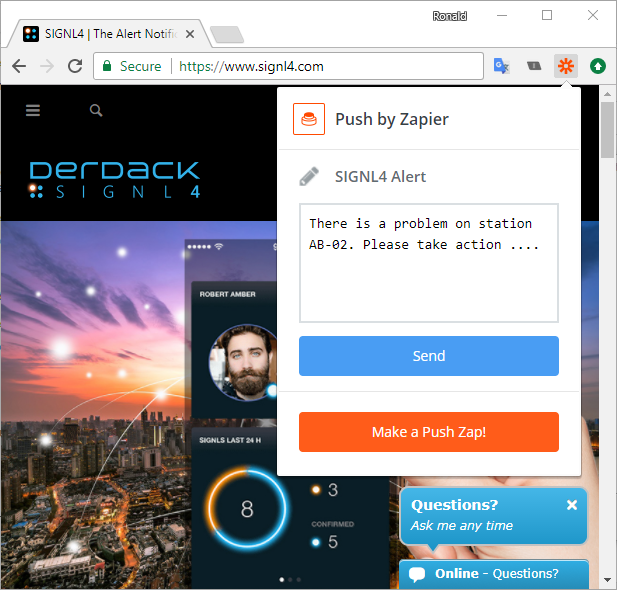 Read more on the SIGNL4 webhook API here. This is it. You can new test you zap by clicking the zapier icon in the Chrome toolbar and send your first emergency alert. 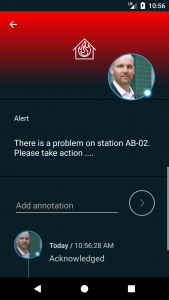 And to receive it in your SIGNL4 team notification app. 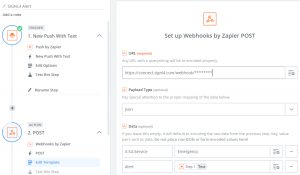 zapier is a web-based automation service that build flows based on web applications. To start with SIGNL4, please go to the app store for your device, download the app and sign up using your email address. You are then set for a 30-days trial account.